Many people wonder what kind of questions they will be asked in a polygraph examination. 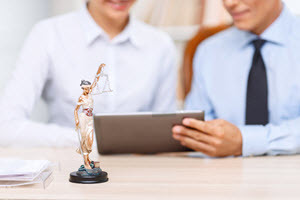 In every case the examiner will conduct a pre-test interview to obtain all the pertinent background information about the matter under investigation to ensure the questions asked on the test deal with the issue. Some issues can be complex others are relatively straightforward. Comparison questions are asked to determine reaction during honest and dis-honest responses and to calibrate to the subject and record the initial responses. All polygraph tests are comprised of a number of different types of questions, but there are usually up to three questions asked in relation to the actual reason the test is being conducted. These questions are referred to as the ‘relevant questions’. These questions, as well as being specific to the test issue must also meet the strict APA (American Polygraph Association) and BPA’s (British Polygraph Association) specified rules of polygraph testing. Quite frequently people are concerned as to the types of questions asked. As an example, when attending a test requested by an employer, the employees may have concerns about what they will be asked or if their personal or private lives will be unduly delved into. However, the questions must be specific only to the actual reason for the test. The examiner will never allow the questions to deviate from the specific issue at hand, and ensure there is no attempt to collect gossip, unrelated information or private details of any kind, as per the strict guidelines that must be followed. Your ticket for the: What Type of Questions Are Included in a Polygraph Test?